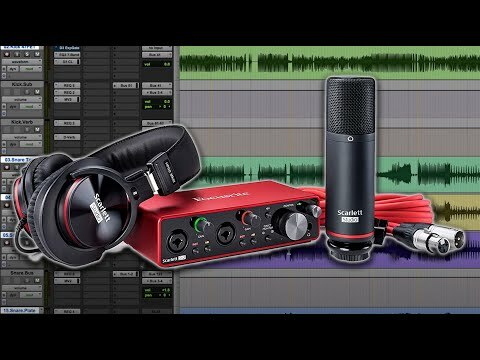 Everything you need to make studio-quality recordings from home You could spend another evening comparing equipment online. 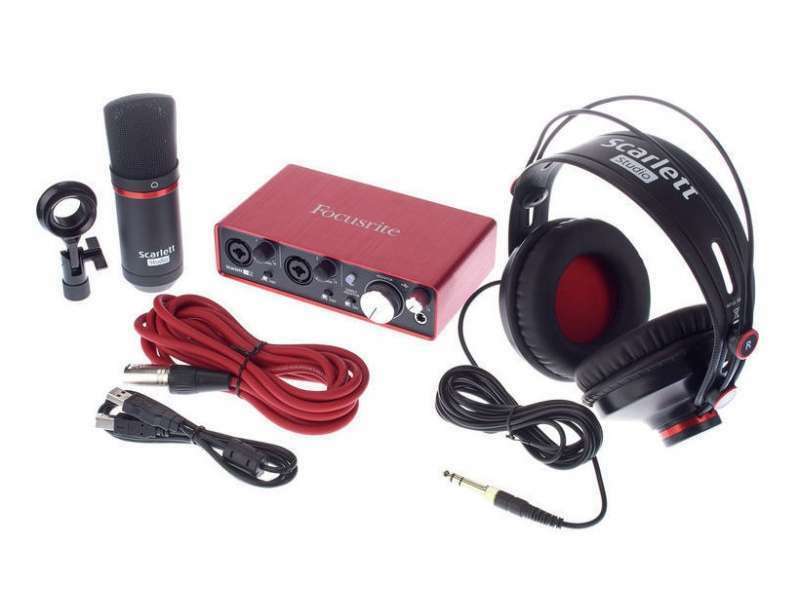 Or you could spend it recording your demo. Scarlett 2i2 Studio Pack gives you everything you need to easily make studio-quality music on Mac or PC. 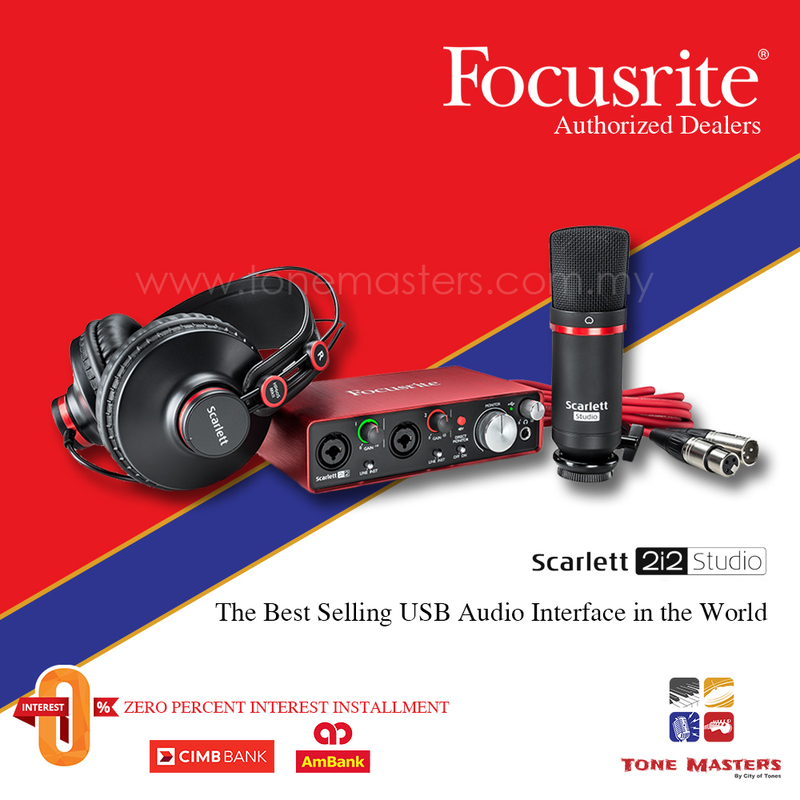 Scarlett 2nd Generation interfaces have lower latency than any other USB audio interfaces. Take a look at this short video to see for yourself how latency can cause problems when recording, and find out what you can do to overcome it. Get your hands on the top selling USB audio interface of all time. 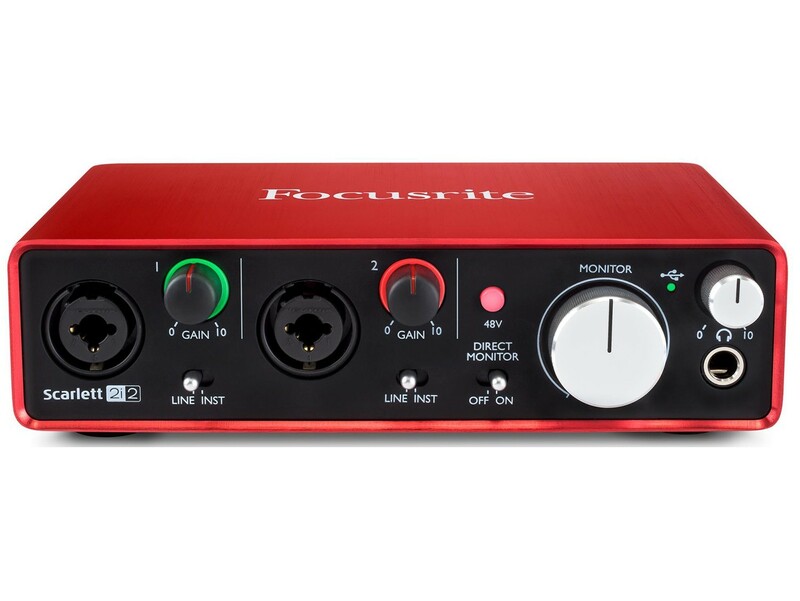 It’s a compact and versatile 2-in, 2-out interface that gives singer songwriters two natural-sounding Scarlett mic preamps and the same class-leading sound quality and digital conversion as the rest of the latest Scarlett range. Take it anywhere, connect by USB, plug the CM25 condenser mic and your guitar straight in, and easily make studio-quality recordings that sound just the way you intended If you want your recordings to sound as good as your performances, you want this studio pack. 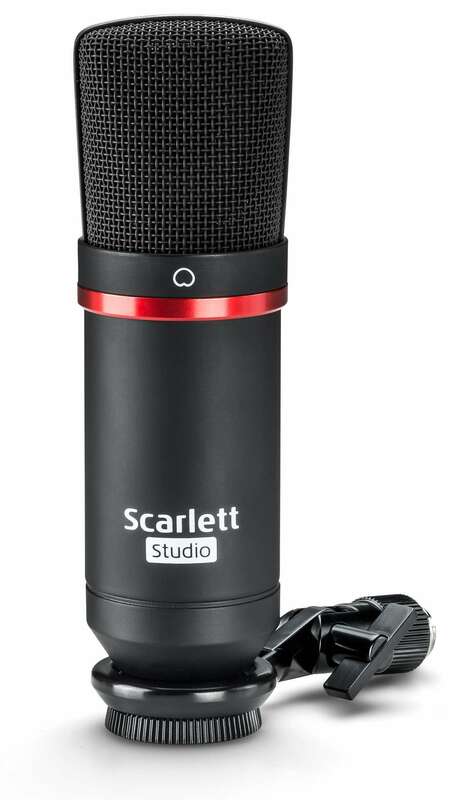 It gives you an interface with the best sound quality and digital conversion in its class, plus a large diaphragm condenser microphone that captures every detail of your sound. 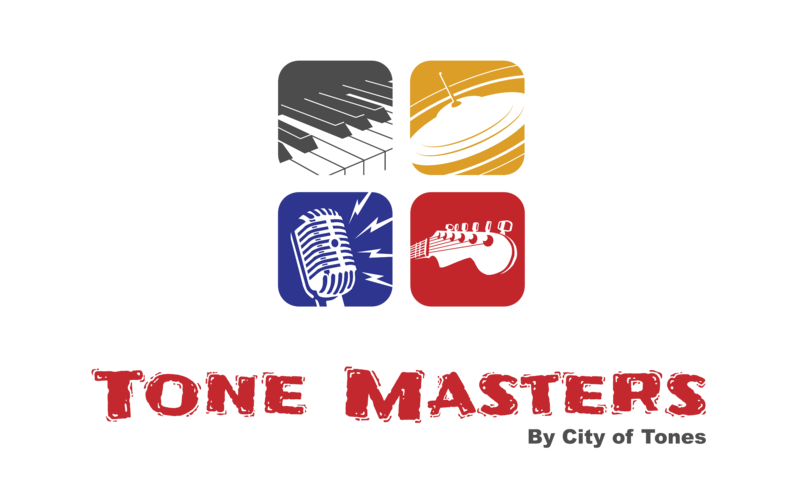 Combined, they’ll make sure your recordings that sound as true to life as possible. You also get a long mic cable and a stand clip, so you can get started straight away. The art of recording is all about getting lost in the music. You don’t want background noises interfering or distracting you when you’re trying to concentrate. 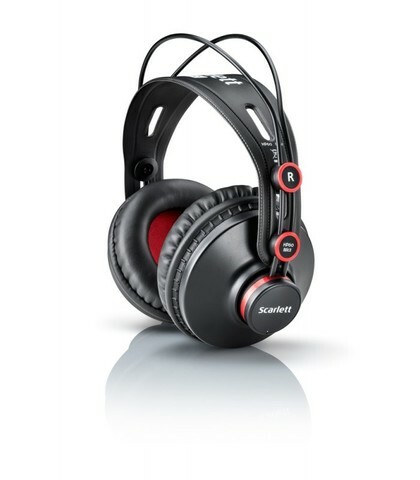 The closed-back headphones in this studio pack block out background noise, giving you honest and accurate playback. They let you hear everything you want to hear, and nothing you don’t – so you can stay entirely focused while recording and mixing. 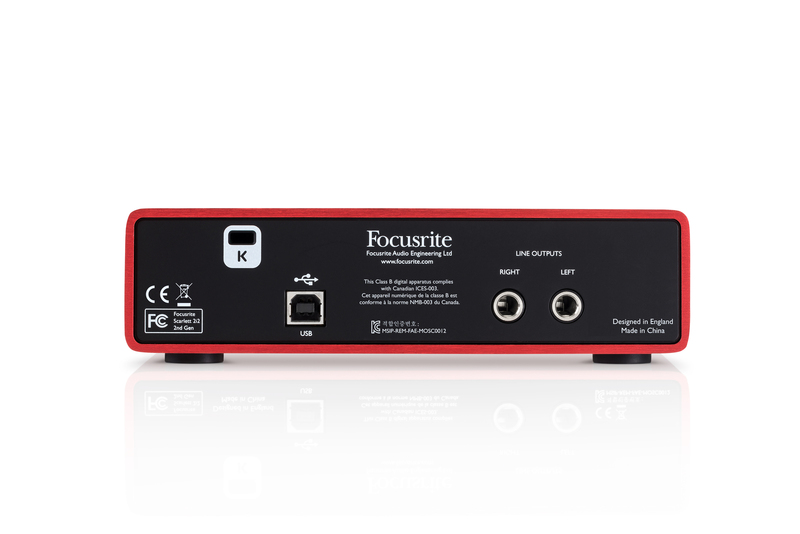 Balanced jack outputs let you connect professional monitors, as well. Don’t let interface latency hold you back. Enhance your recordings in ways that are simply impossible with any other interface in this class, like enabling real-time guitar amp simulation and vocal reverb (depending on your software, settings and computer). Compose, record, edit, save and export your music straight away, with time-unlimited versions of industry-standard music software: Ableton Live Lite and Pro Tools | First - Focusrite Creative Pack, which features 12 additional plug-ins including the Eleven Lite for real life guitar amp emulations and Black Op for iconic distortions and overdrives. You also get Softube's Time and Tone bundle, the Focusrite Red Plug-In Suite, Novation's Bass Station Virtual synthesiser and 2GB of Loopmasters samples. Scarlett 2i2 works with all major DAWs on Mac and PC, and all the software included is simple enough for beginners, yet sophisticated enough for advanced users.